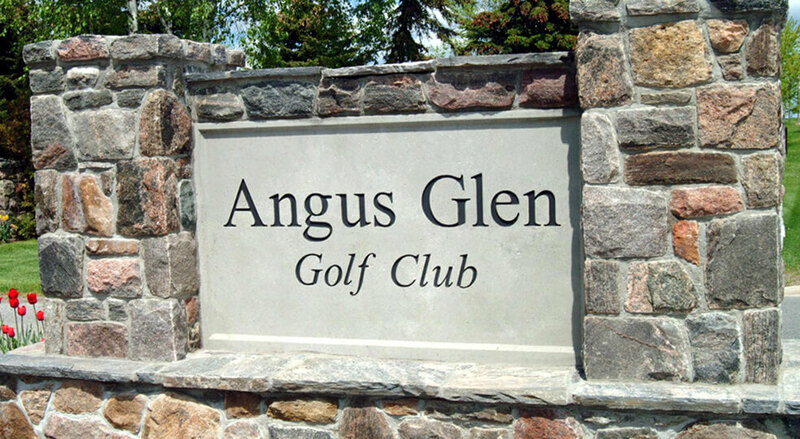 Angus Glen Golf Club is the only club to have hosted a major PGA tour event on both of its courses. 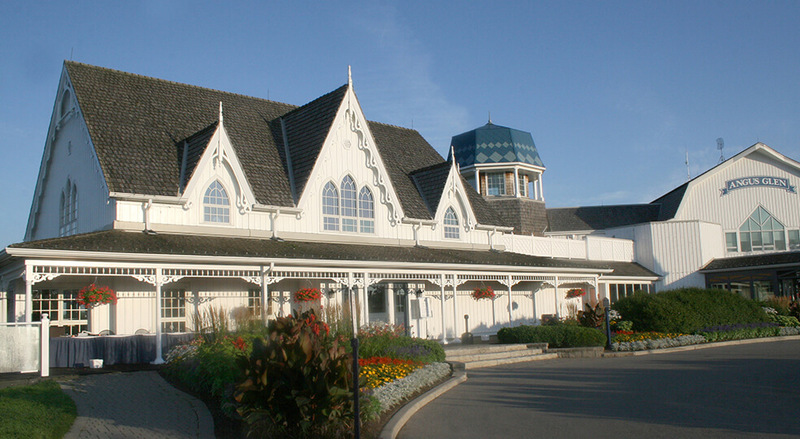 The North hosted the 2007 Canadian Open while the South Course hosted the 2002 Canadian Open. 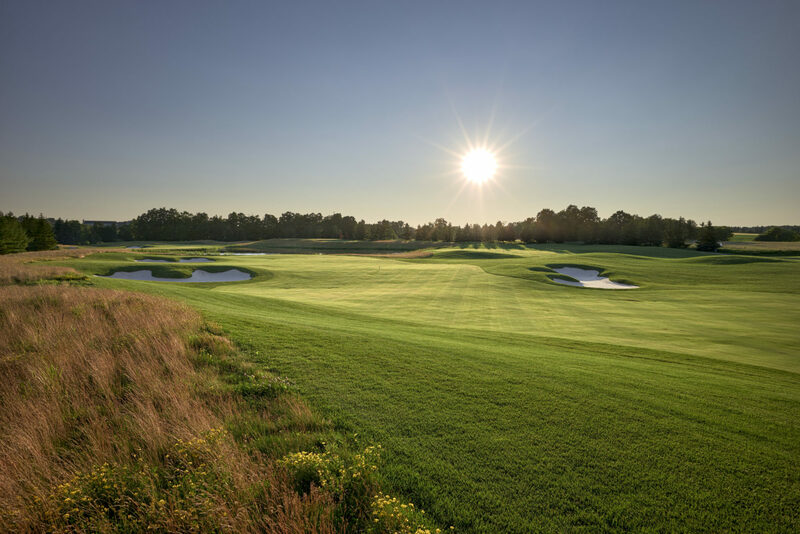 In 2015, the south course re-opens after completing a $6 million renovation by award-winning golf architectural firm MacKenzie & Ebert who’ve advised on an impressive list of world-renowned courses such as Turnberry, Royal St. Georges, Royal Lytham & St. Annes, The Abaco Club, Royal Troon, Royal Liverpool, Goodwood and Carnegie Abbey. 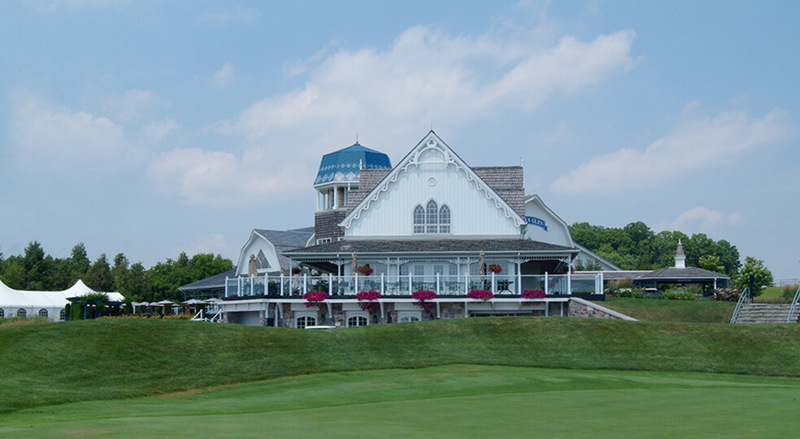 Welcome to the South Course and our most difficult hole! 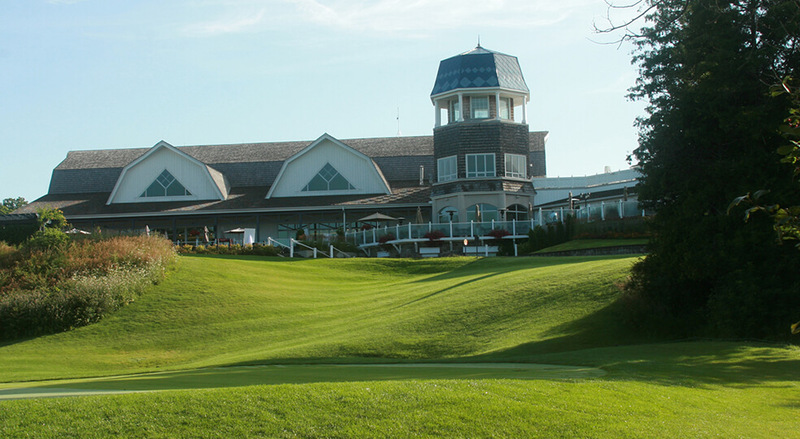 Your approach to this heavily guarded green needs to be precise. 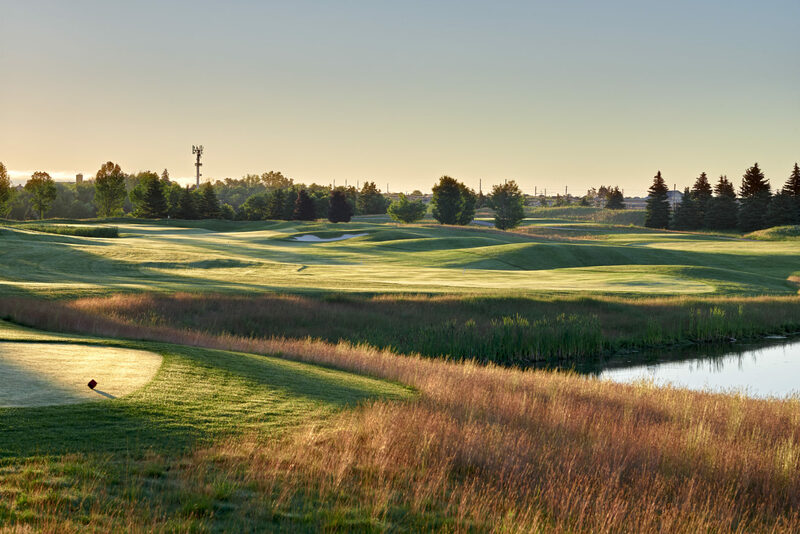 Beginning your round with a textbook Par is the best way to start your day. 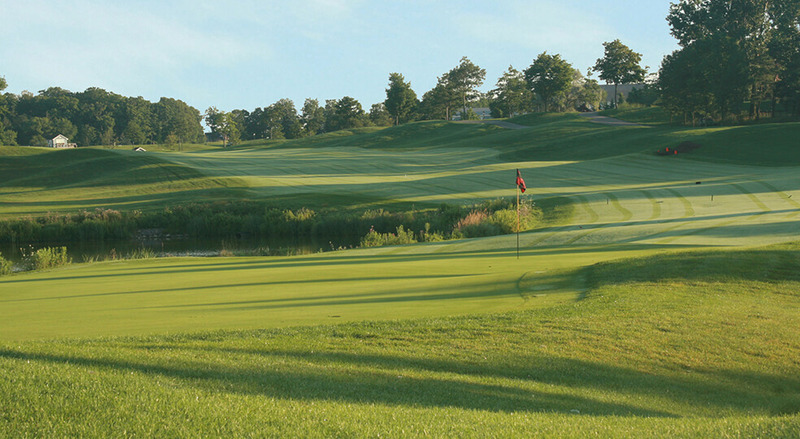 The second hole may be the shortest on the south course, but don’t let your guard down. 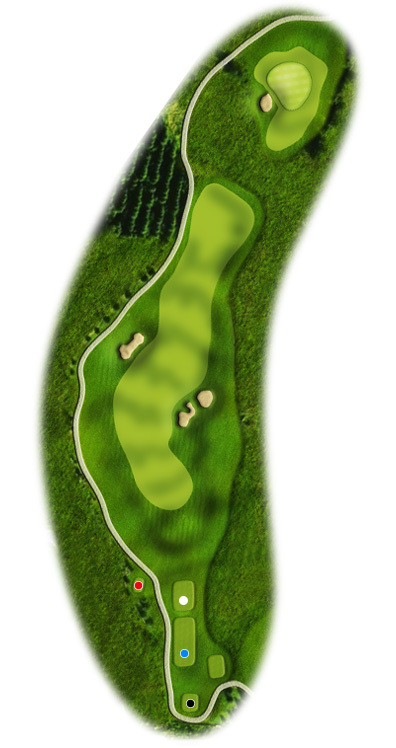 A tiered green, surrounded by bunkers and a cavernous naturalized area, is a difficult target even in the calmest of conditions. 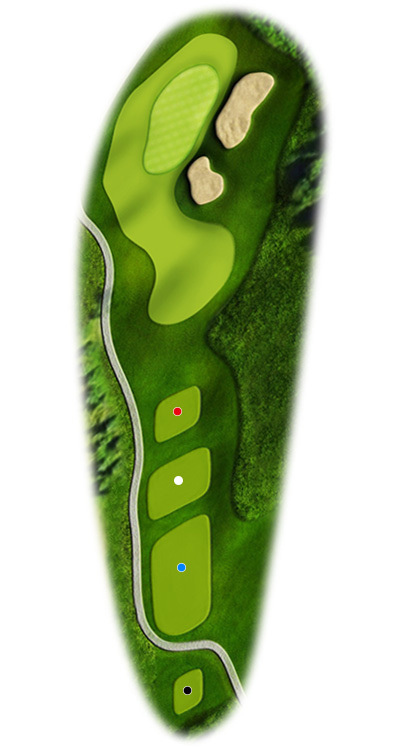 A bold tee shot may be a fool’s errand on the short Par 4 third. 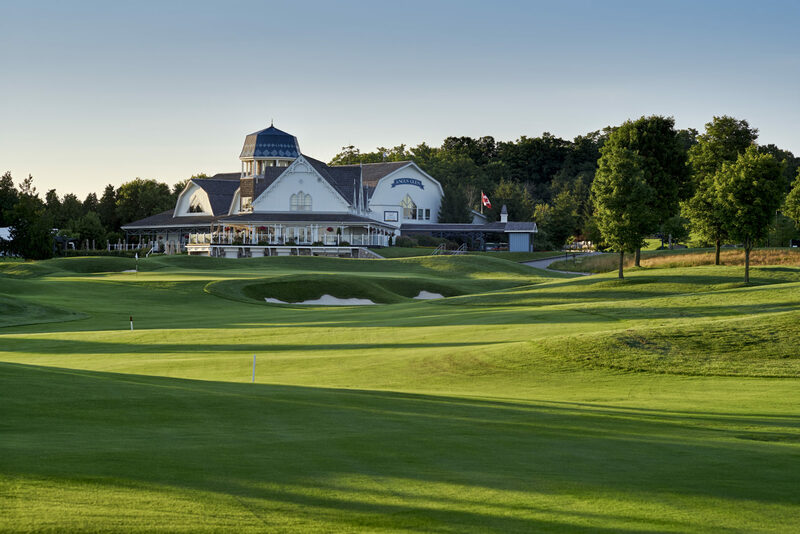 A cautious tee shot to the right center of the fairway coupled with a precise short iron should provide a birdie chance here. 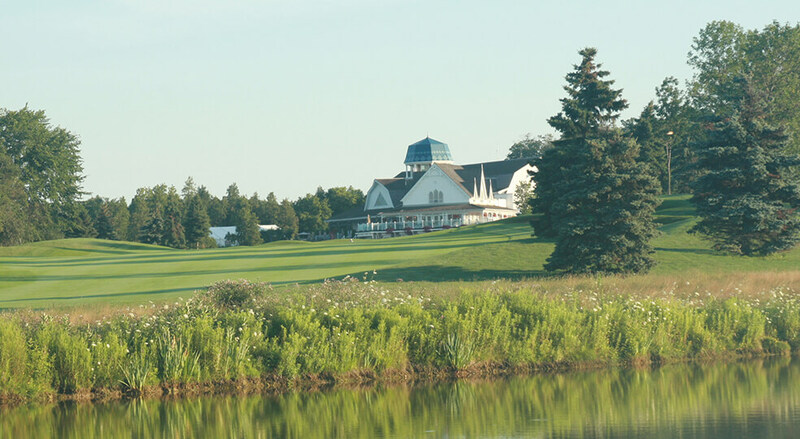 A strong two-shot hole, club selection and ball placement off the tee are integral. 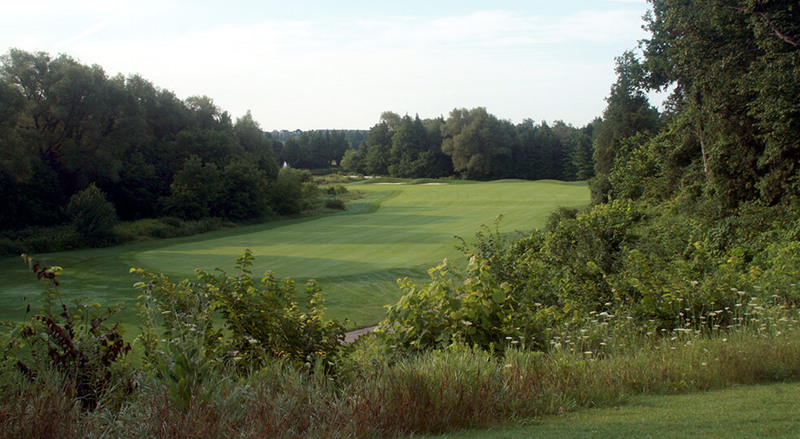 If you misplay your tee shot to the left, you’ll be forced to hit a long iron to a green, which sits between the Bruce Creek and woodlands. 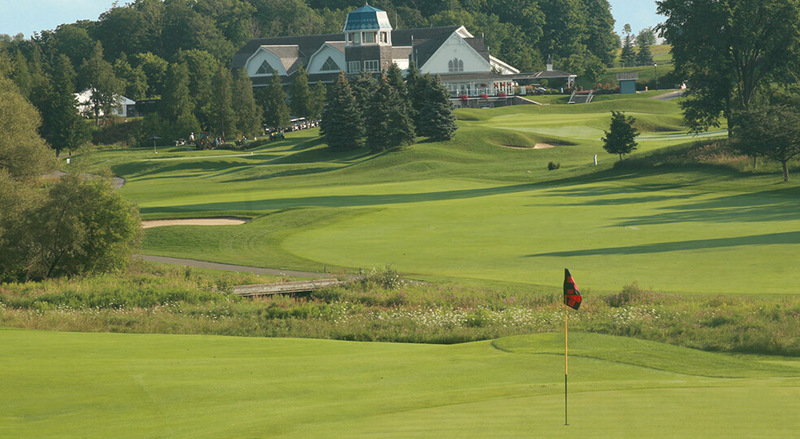 The green is 25 feet below the fairway, so it is often worth clubbing down on the approach. 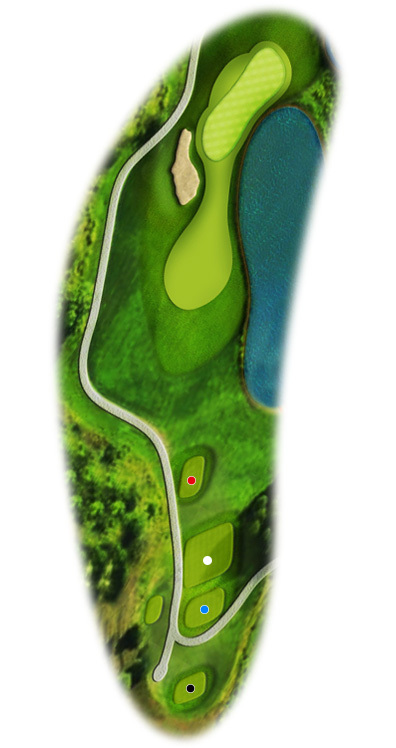 The dog-leg right Par 4 has a more generous landing area than you would expect. 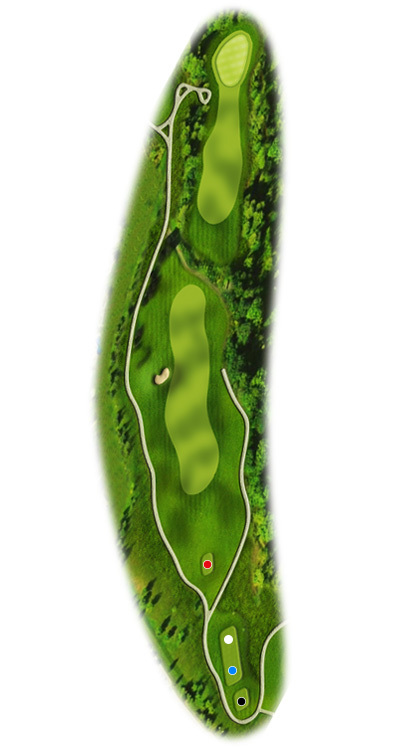 A tee shot played to the right-center of the fairway will set up a straight forward approach to a relatively flat green. Water is in play but number 5’s bark is worse than its bite. 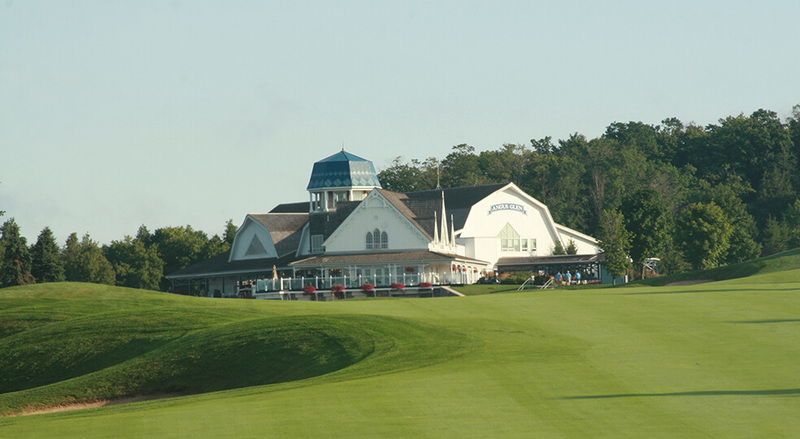 Rated Most Difficult Par-3 on the P.G.A. Tour 2002. 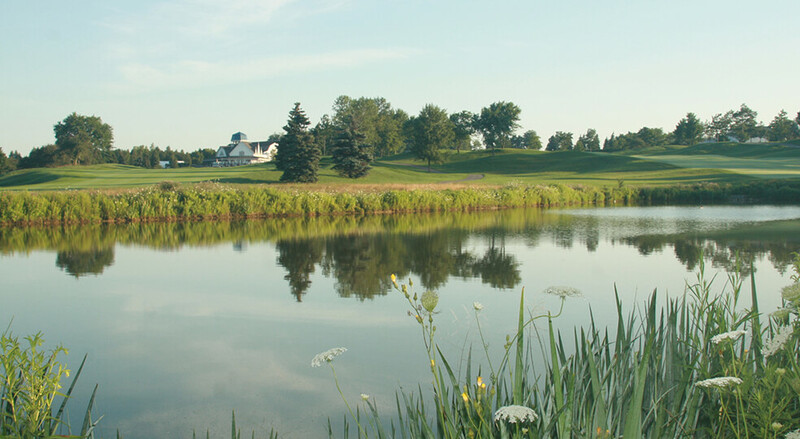 A picturesque Par 3, this hole features a shot from an elevated tee across a large pond to a shallow, undulating green. 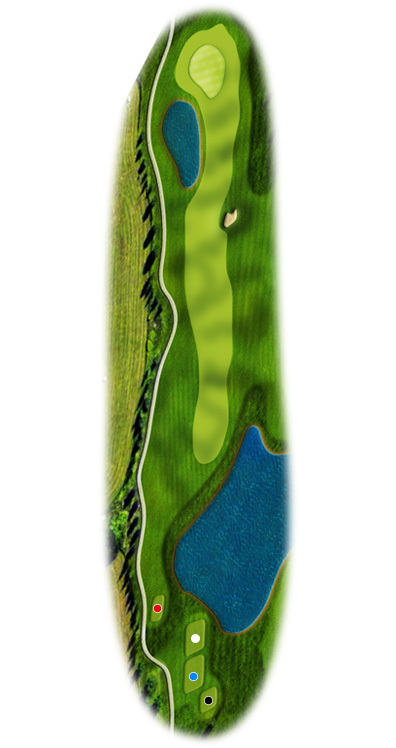 When playing number 6 it is best to walk softly and carry the right stick! 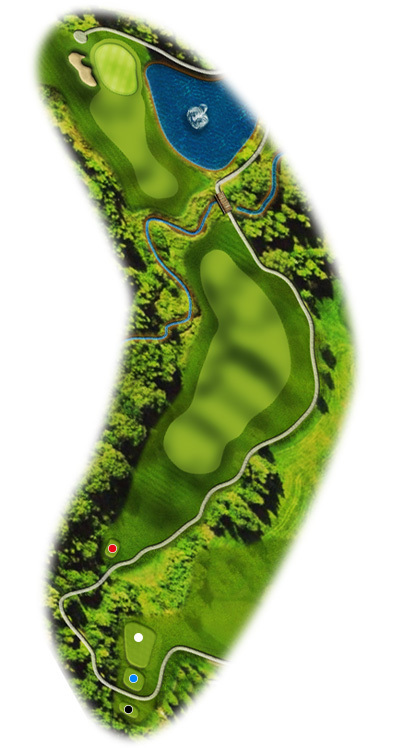 On this tight Par 5 that is lined by mature trees, the green is reachable with two well-struck shots. 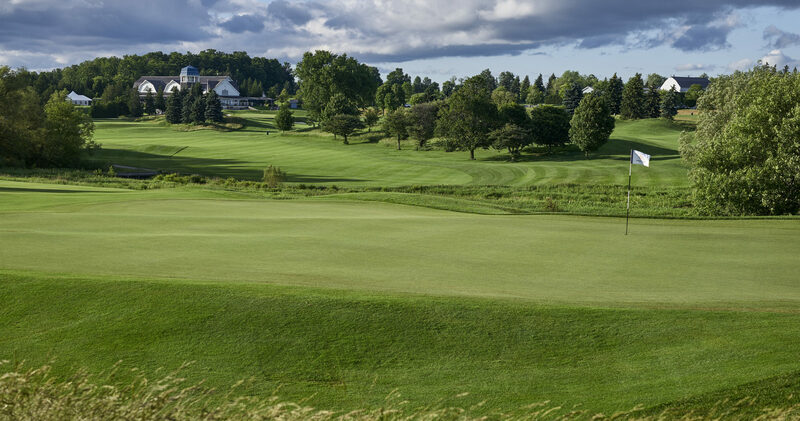 The small, well-guarded green readily accepts shots from short irons, but a ridge dividing the putting surface makes distance control essential. 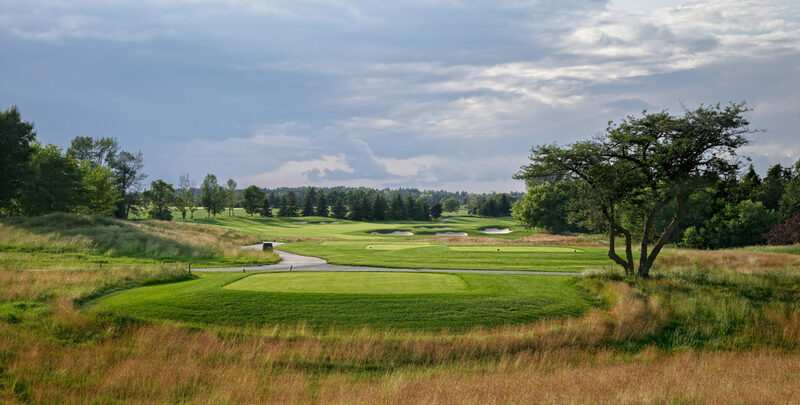 The towering white pine that guards the right fairway edge reminds the golfer that the shortest distance between two points can sometimes leave you stymied. 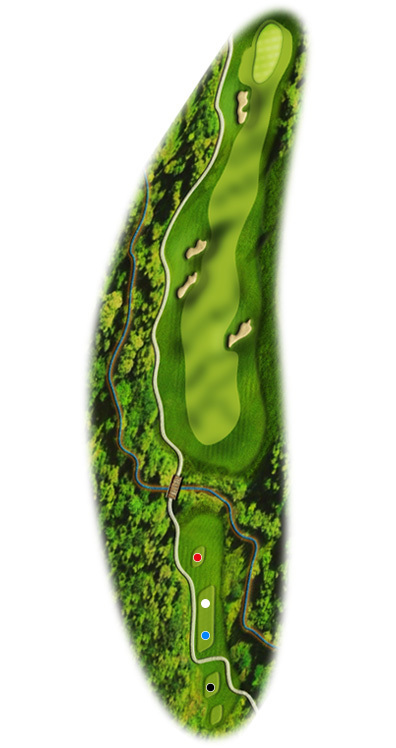 This Par 4 skirts a hidden Bruce Creek, ending at a relatively flat green surrounded by bunkers and ticklish collection areas. 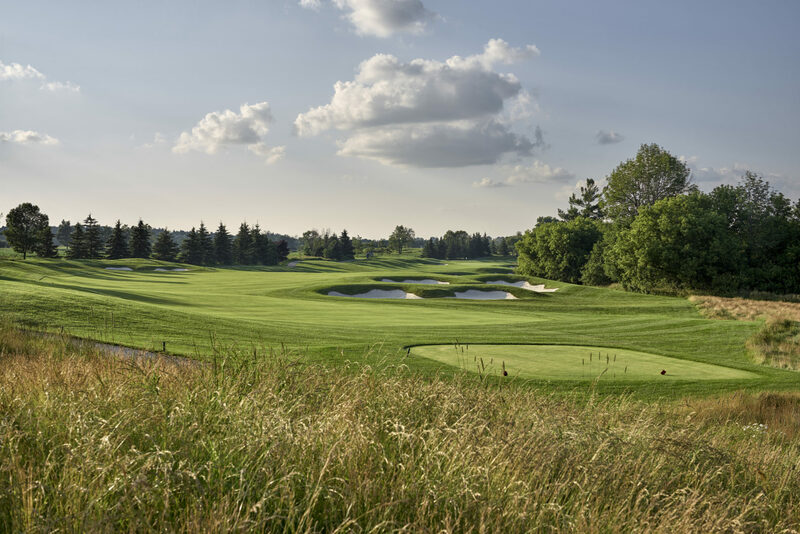 One of the more spectacular holes at Angus Glen, this Par 5 provides golfers with a risk/reward scenario that will leave many shaking their heads. 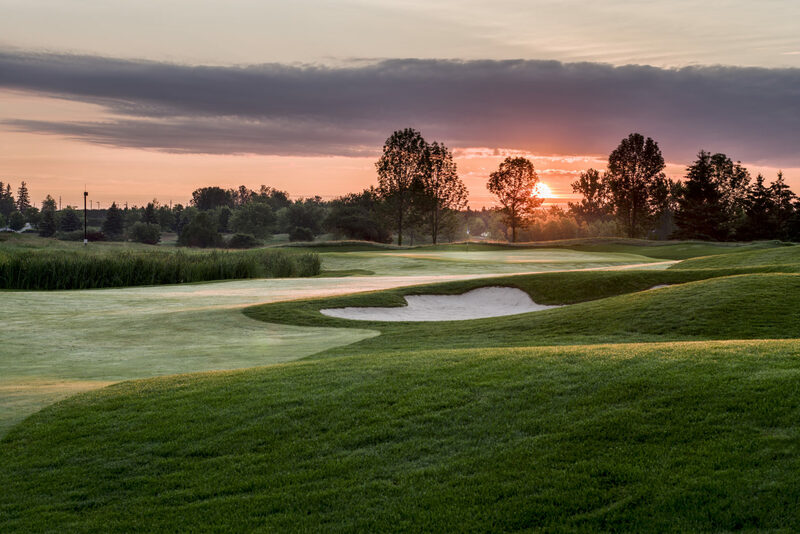 A long draw that carries the middle bunker on the left will catch a downhill roll and leave the golfer with a possible shot at the green. 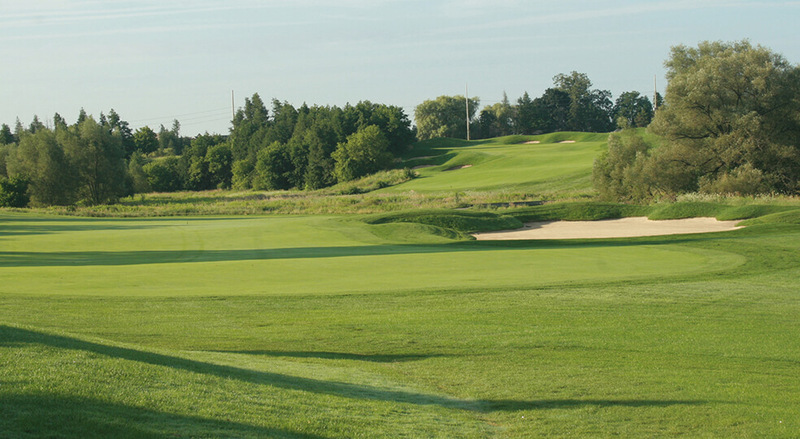 The danger doesn’t end until your putt drops as bunkers and thick rough will plague misplayed shots. 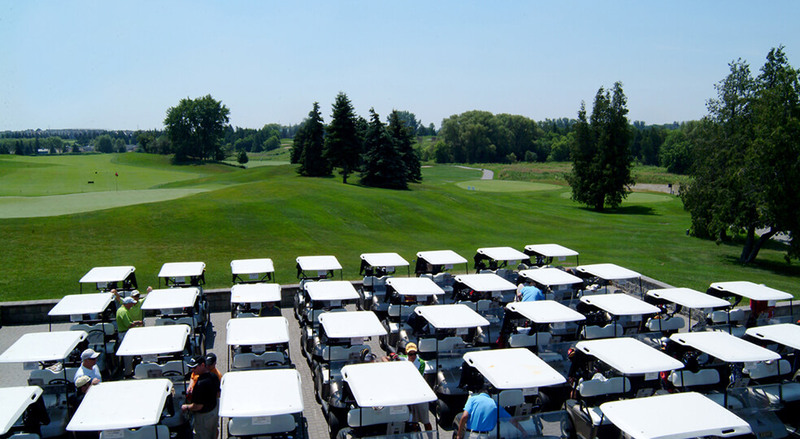 Strategy abounds as you begin the back nine on the South Course. 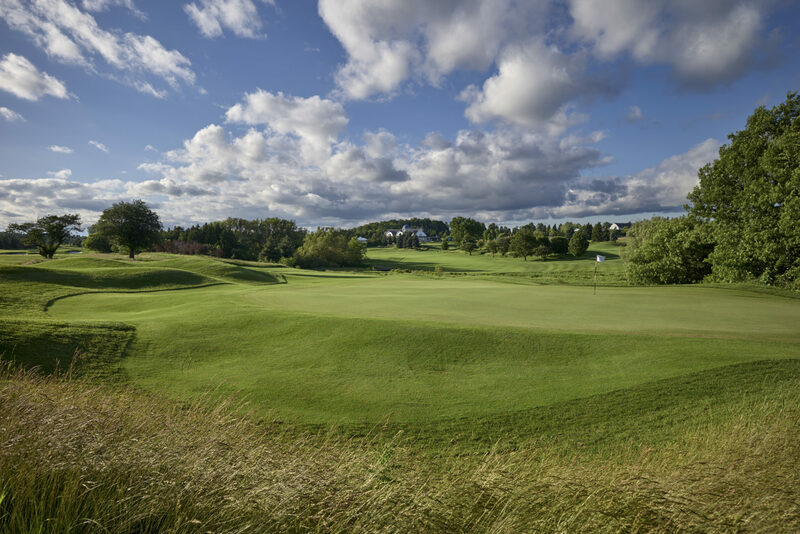 Choose your line carefully off the tee as your second shot, played uphill and into winds that often swirl, is the most difficult on the course. 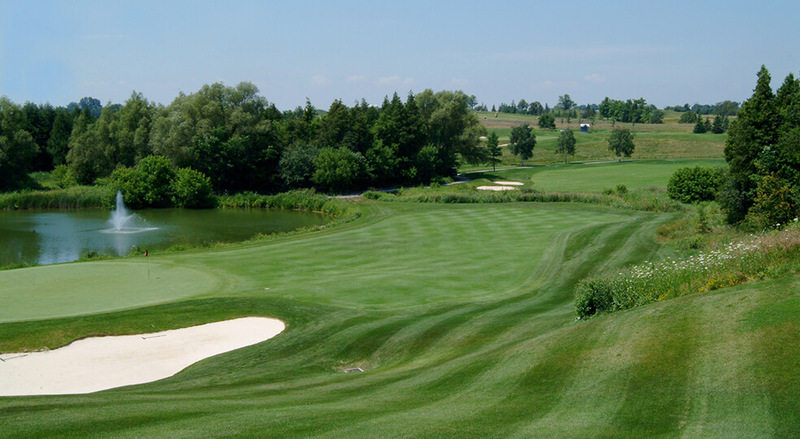 Par here is a good score. 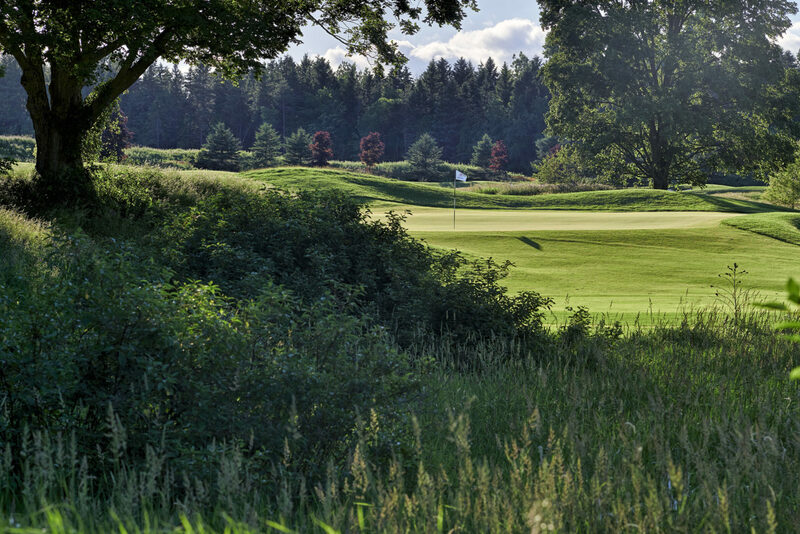 A true brute when played into the prevailing wind, number 11 is the second of four consecutive challenging holes. 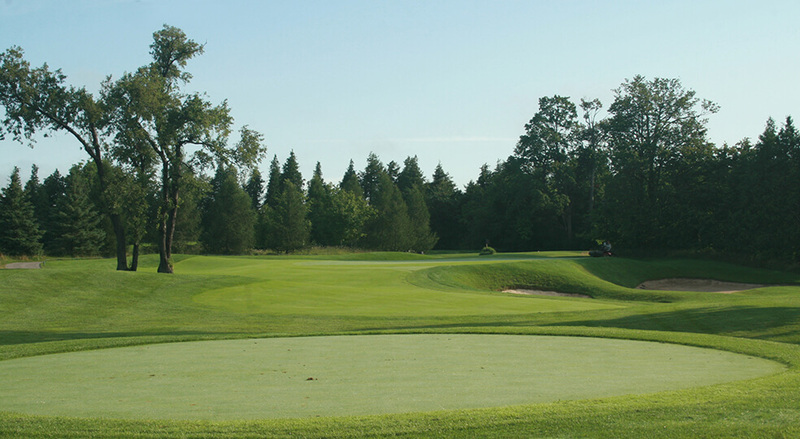 A strong tee shot is needed to set up a middle iron to a well guarded green. 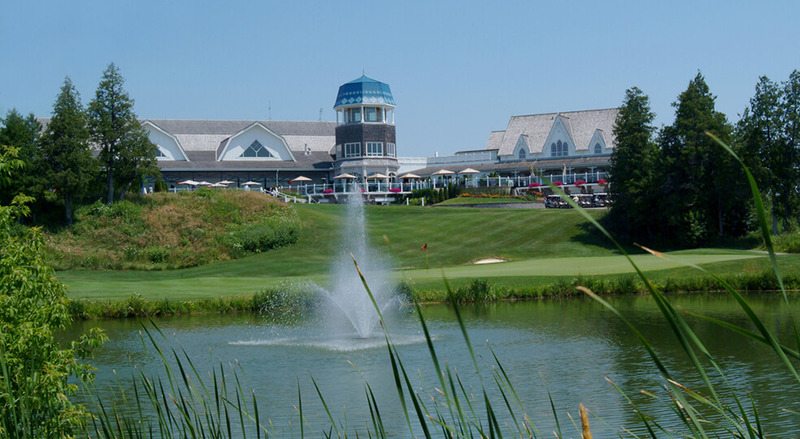 Par is a good score on a hole where bogeys abound. 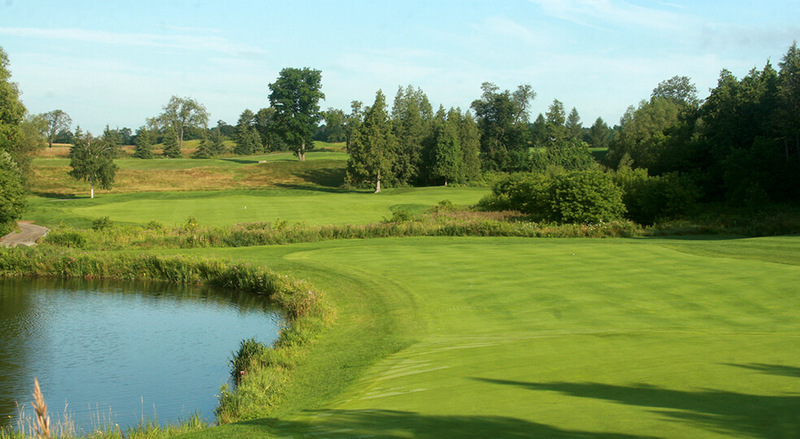 Number 12 is a picturesque Par 3 that forces players to carry a large marsh into narrow green. 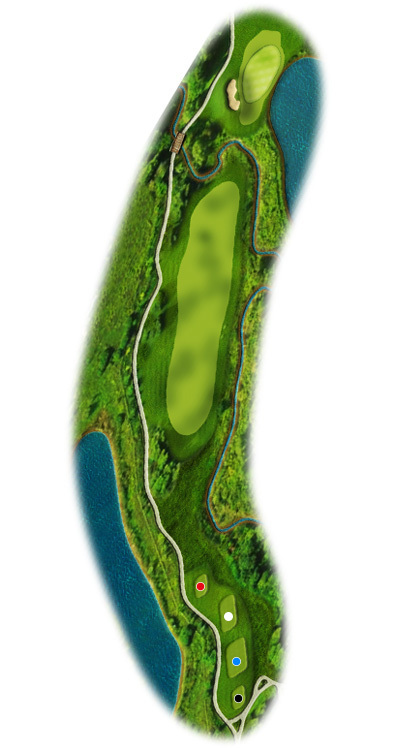 Taking an extra club on this hole is wise as prevailing winds will play havoc with mishit tee shots. 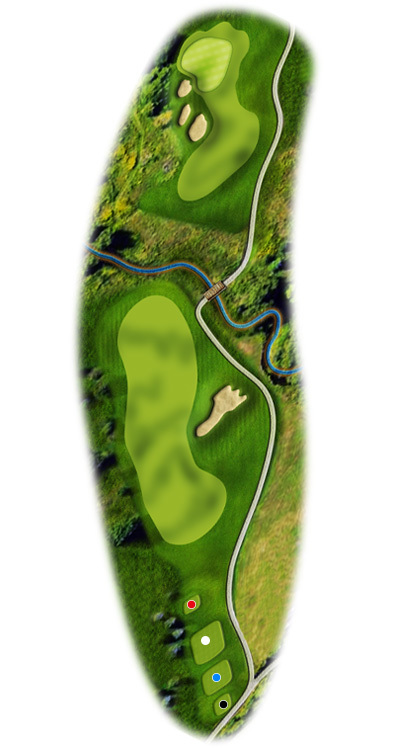 Choose your line with great care as bunkers and marshland claim their share of ill-aimed tee shots. 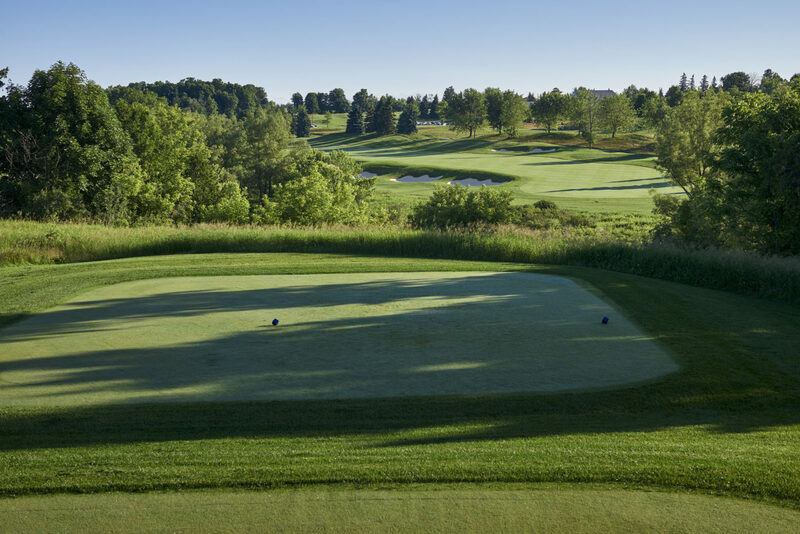 Once in the fairway, you are faced with a bracing approach shot to a green protected by a bunker, marsh, and steep collection areas. 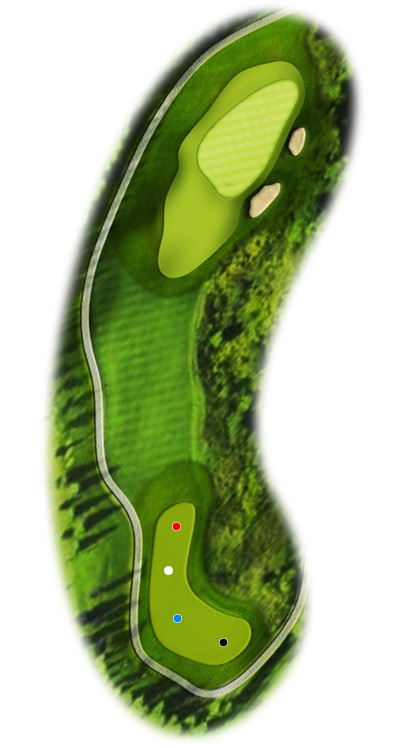 The green is relatively flat so once on its surface you can be aggressive. 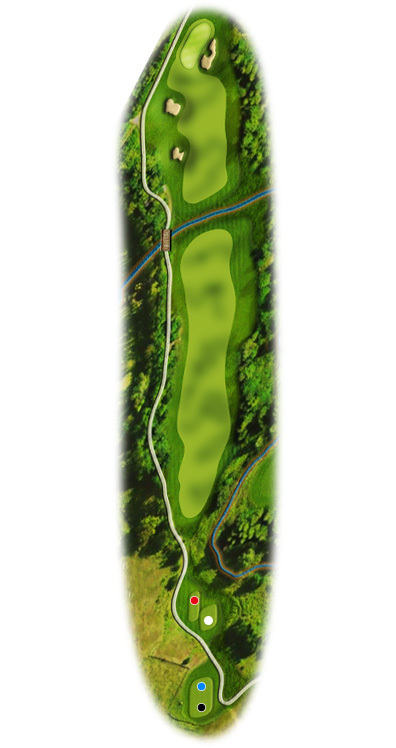 This serpentine Par 5 winds towards a deep narrow green. 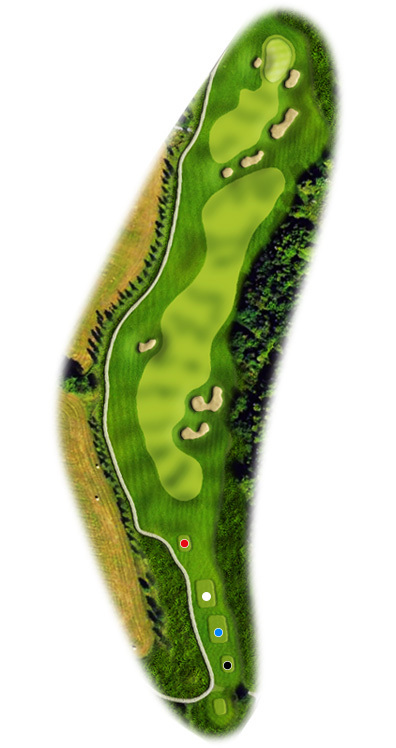 Your tee shot must be bold, as you position yourself for a difficult approach. 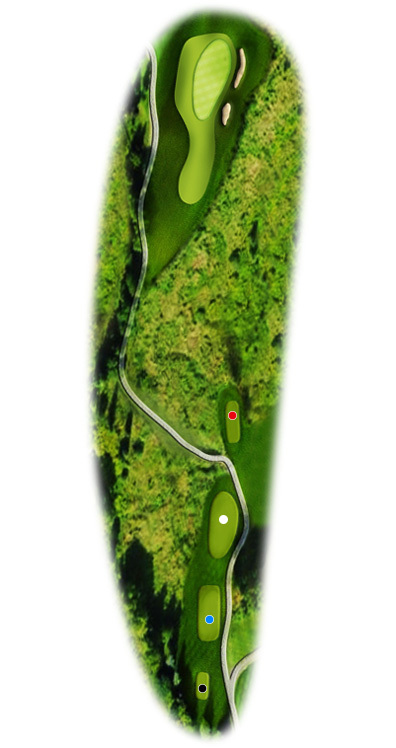 Be sure to check the flag position as a ridge divides the green front to back creating devilish putting. 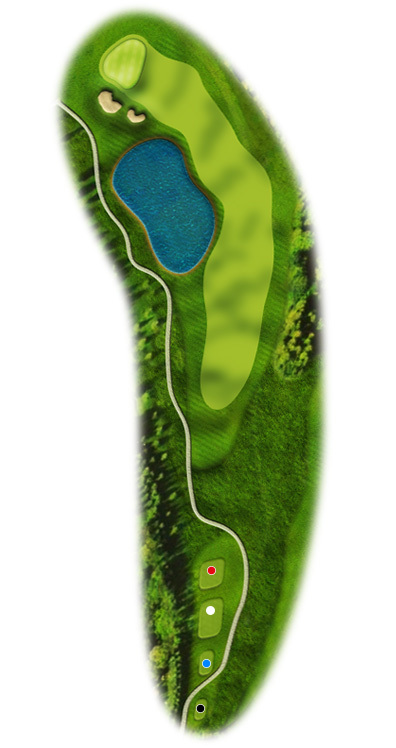 With the small pond to the left of the green, a tee shot down the right side is safer but will require more club on the approach to the green. 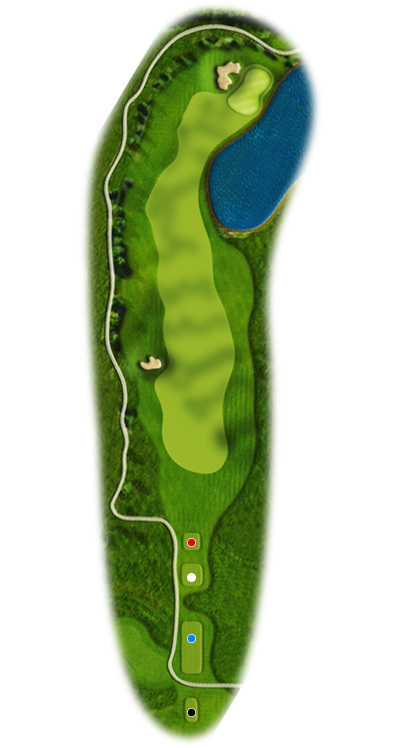 A fairway bunker to the right of the hole places further demand on the tee shot. 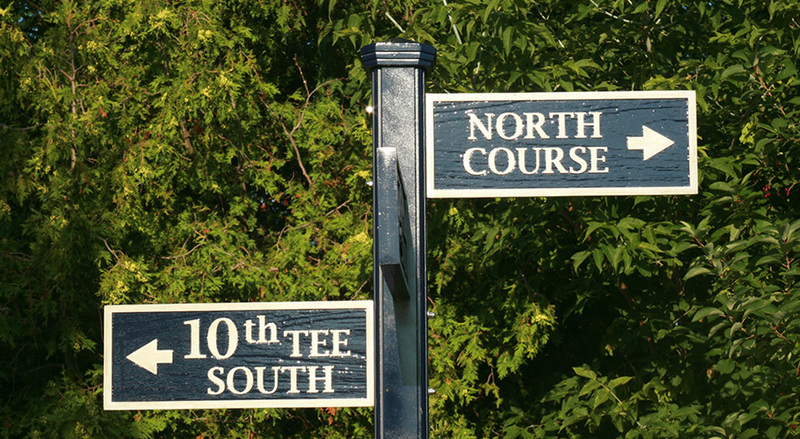 Decisions, decisions… number 16 begins with a risk-reward tee shot and the strategy session doesn’t end there. 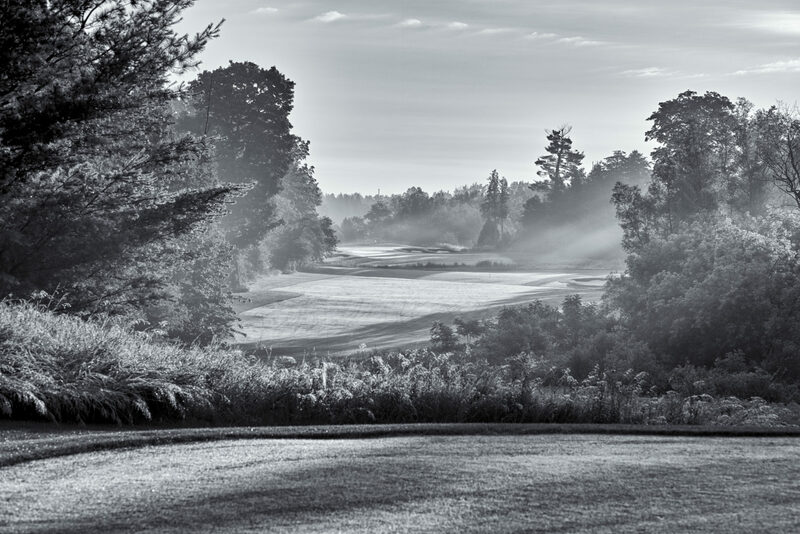 Your approach, lay-up, or pitch shots will all require a focused mind as this hole has many routes to success or failure. 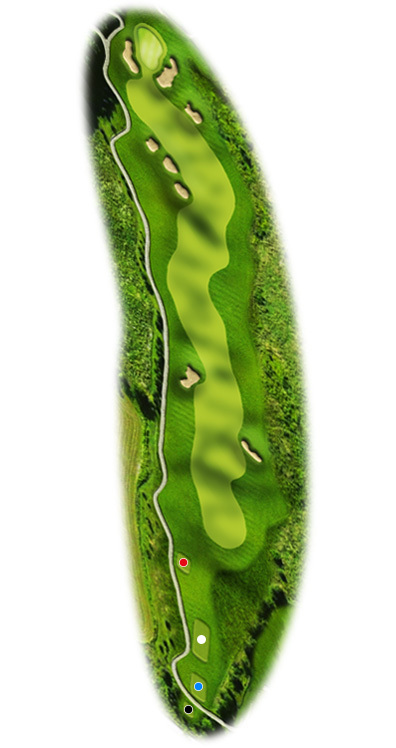 Once reaching the green you should be left with a fairly flat putt to finish the hole. 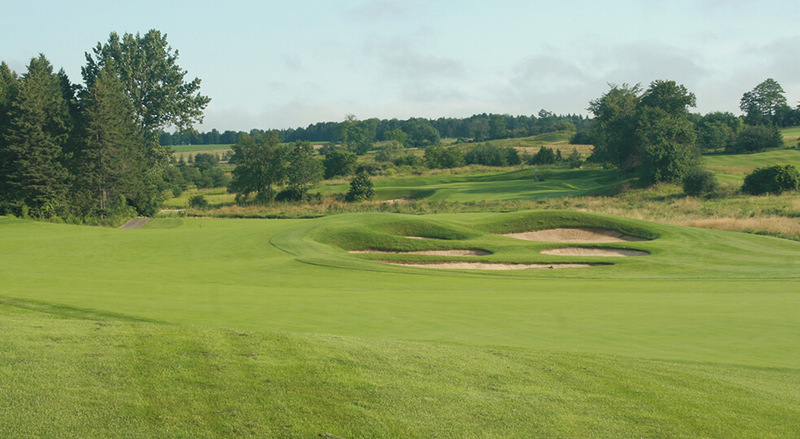 This “Redan” style is protected front and right by step bunkers and thick rough. 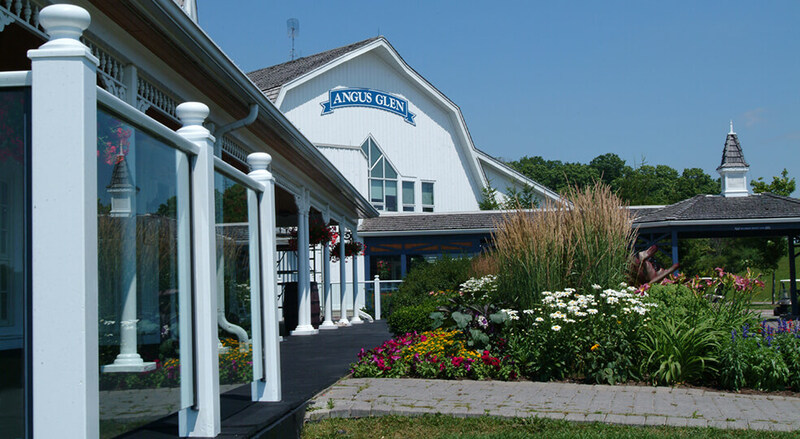 Flirting with a right side pin can lead to an adventurous recovery. 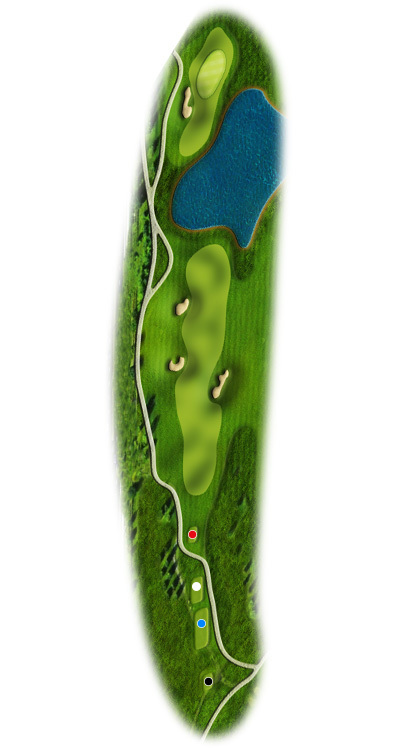 Collection areas to the left of the green are the safe mistake on this the last of the Par 3’s on our South Course. 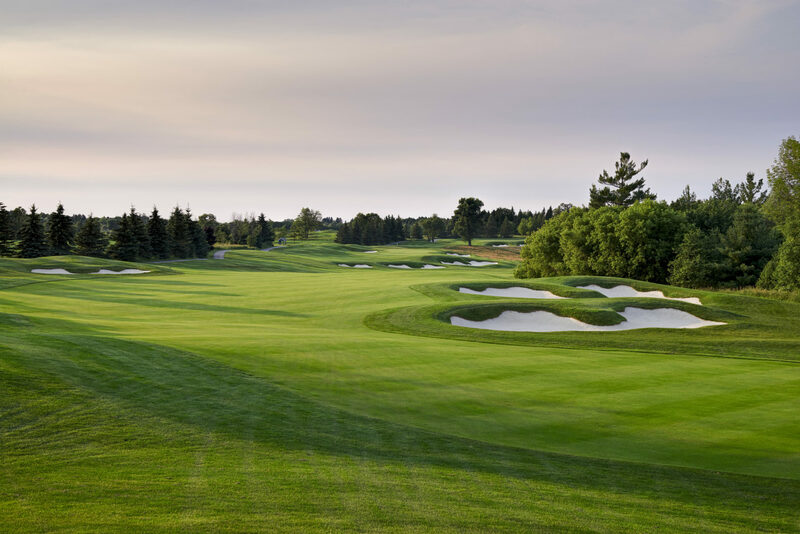 Number 18 has humbled some of the world’s finest golfers owing to its preponderance of water and treacherous pin positions. 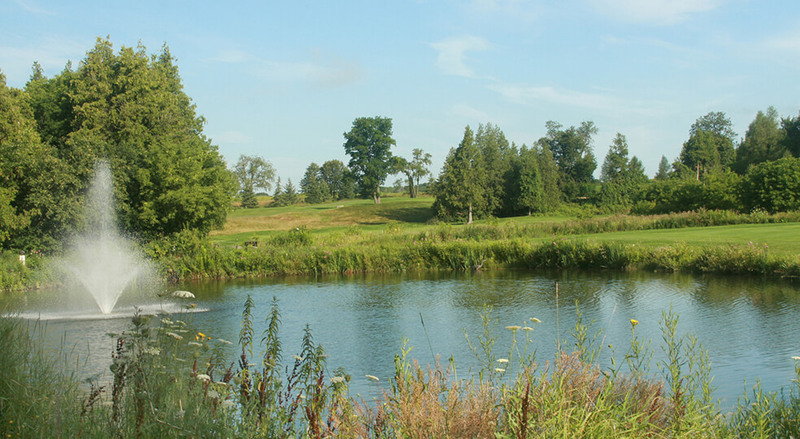 Stay clear of the Bruce Creek off the tee to leave a middle-iron to this final green. 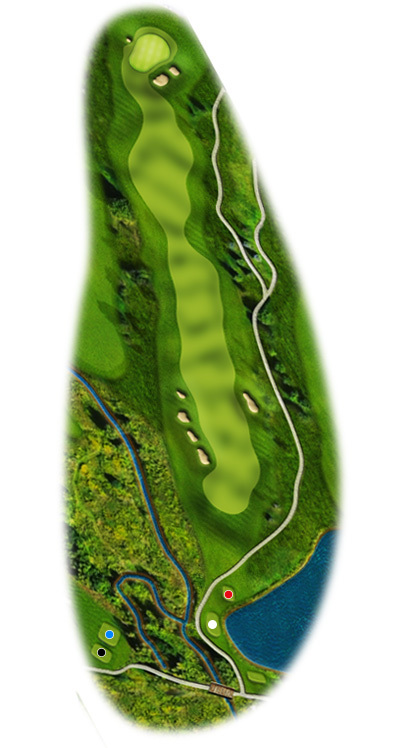 Check the pin position as two ridges, one subtle and one pronounced, challenge even the well-played approach.